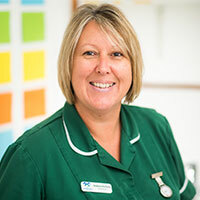 Debbie is our Head Veterinary Nurse. She has worked within the veterinary profession for 10 years and joined Eastbourne Vets in July 2017. She enjoys all aspects of veterinary nursing but has a special interest in surgical nursing and anaesthesia. She is a clinical coach and mentor supporting and training our next generation of veterinary nurses. In her spare time Debbie enjoys horse riding and spending time with her family and lovely Labrador Teddy.